Want to hit the ball out of the park for your next event? Then, a sports themed event may be just the thing. Our event planners in Atlanta can plan a party that integrates your favorite sport elements. If you run a business, you want everyone to be a team player, and a sports themed event is the perfect way to bring everyone together. Right off the bat, guests can start with icebreakers or team building exercises. That's a great way to help everyone connect. Alternatively, if your team is chomping at the bit to just have fun, you can plan a holiday or other corporate party that's devoted to that goal. Either way, our event planners in Atlanta will help you make your party a slam dunk. Kids grow up so fast, it can almost blind side you as a parent, and if your child's bar or bat mitzvah is coming up, you definitely don't want to drop the ball. So that everything is up to par, let event planners in Atlanta plan every detail for you. If your child is a sports lover, a sports themed party is sure to be a big hit. We start the process by touching base with you, and then, we craft an event that reflects your goals. That includes everything from great music to decorations to food. Your child is in a league of their own, and their bar or bat mitzvah celebration should be as well. When decorating for a sports themed party, we want to be sure that all the bases are covered. We can create the appearance of s shimmering pool with lanes that look as if you could swim through them, and if you really want to dive into the swimming theme, we can use lights to make the whole party appear as if it's underwater. Prefer the look of a mid-century sports cafe? We can create that as well. It's perfect for daytime celebrations. We can also provide centerpieces with footballs or baseballs or wall decorations that mimic the look of skateboarders doing tricks. Whatever your unique sports vision is, event planners in Atlanta are ready to step up to the plate and hit it out of the ballpark. As event planners in Atlanta, we've also noticed how much cheering for the home team brings the community together. To that end, you may want a party centered around your favorite local franchise. Whether you love the Atlanta Falcons, the Atlanta Braves, the Atlanta Hawks, or even the Gladiators, we can help you create that type of party. We can decorate the venue with football, baseball, basketball, or ice hockey decorations. Then, to ensure the event is a hole in one, the guests can wear their favorite jerseys or talk about their favorite players. Now, the ball's in your court.  If you're planning an event, contact Track Seven Events today. We're a full-service event planning company serving Atlanta, Georgia and the surrounding area. We can help ensure that your event hits the bullseye.